My visit to Pondok Jawa Timur was back in March 2014 and I have heard that they have relocated to their new location at 737 North Bridge Road. Together with Maureen and Kimberley, we stopped by Pondok Jawa Timur on a weekday night for dinner. The Soto Madura with Beef ($6.50) reminds me of Mee Soto. It seems rather similar except it comes with pieces of beef. Squeezed a dash of the lime or add some chilli to alter the flavour for an accentuated enjoyment. 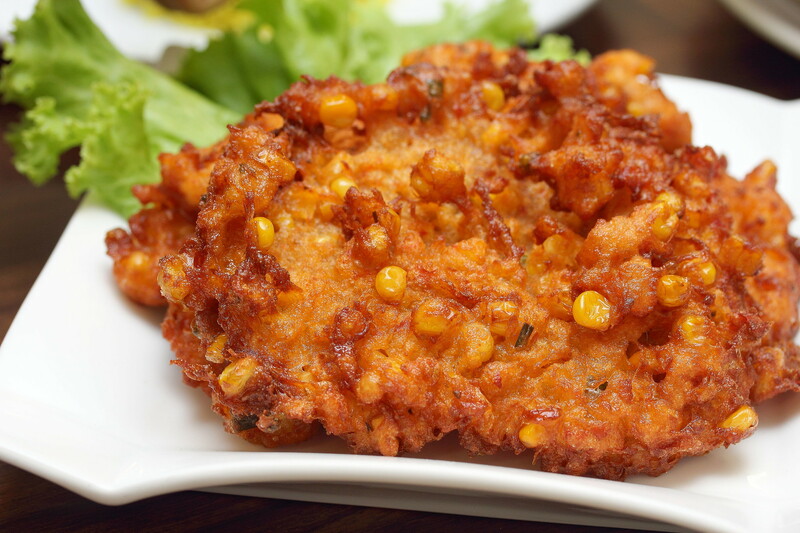 During my previous visit, I did not get to try the Corn Batter with Prawn ($5.70 for 3pc). I am glad that I got to try it this time round. It is really a delightfully snack to kick start the meal. 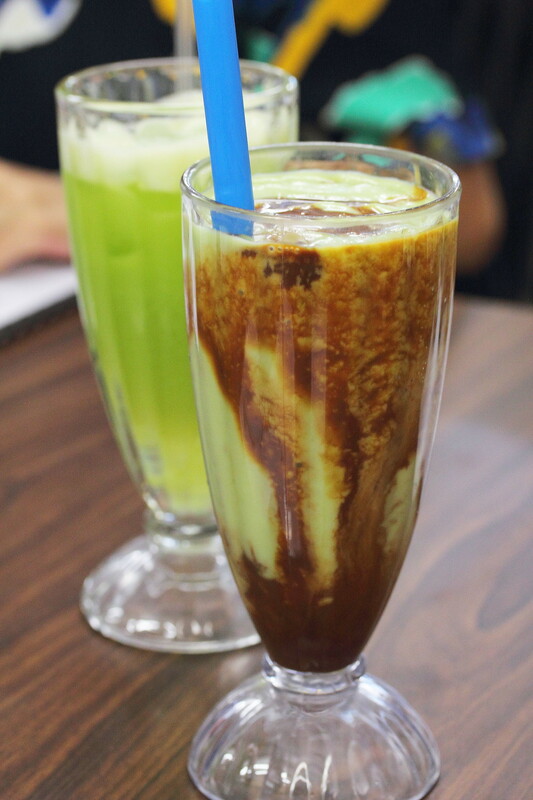 The peanut sauce at Pondok Jawa Timur is freshly made daily. There are 3 different types of peanut sauces at the restaurant for the various dishes. The one used for the Tahu Telor ($6.90) is richer and bolder in flavour which goes well with the fried tofu and egg. 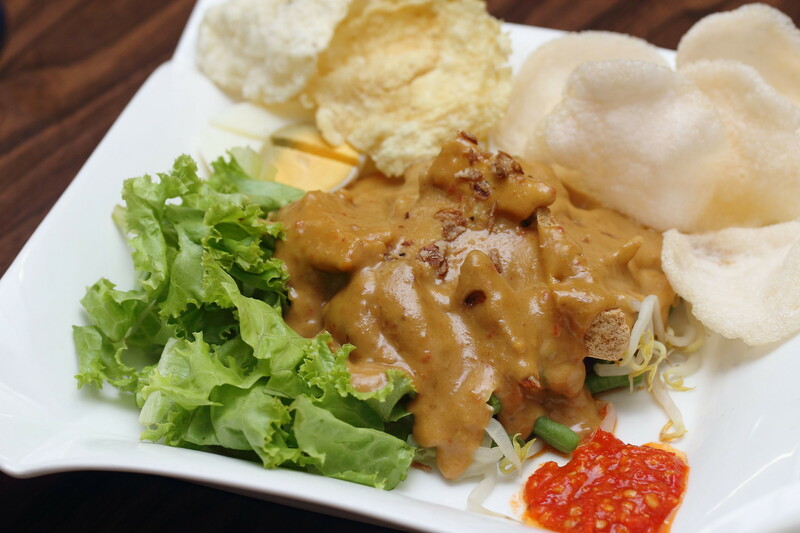 The other peanut sauce is used for the Gado Gado ($6.90). The sauce is lighter but creamier with a subtle sweetness that paired excellently with the vegetables. 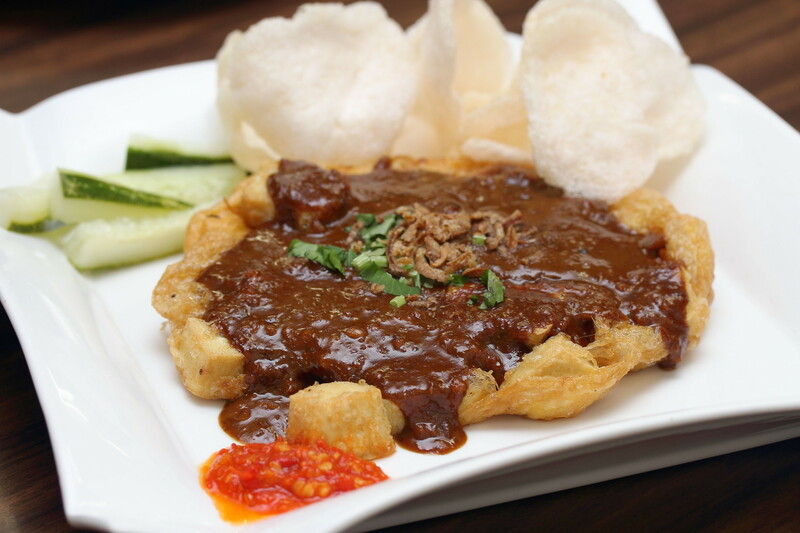 Lastly the peanut sauce which is more coarse and nutty is the perfect marriage for the delectable Sate Ayam ($8.90). 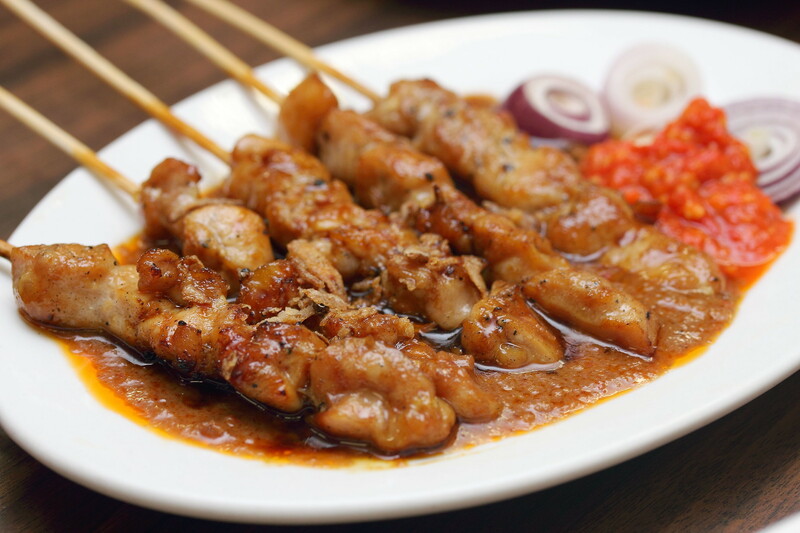 I thought the sate ayam was not as well marinated compared to my previous visit. It was also missing that charred smokey flavour I was looking for. 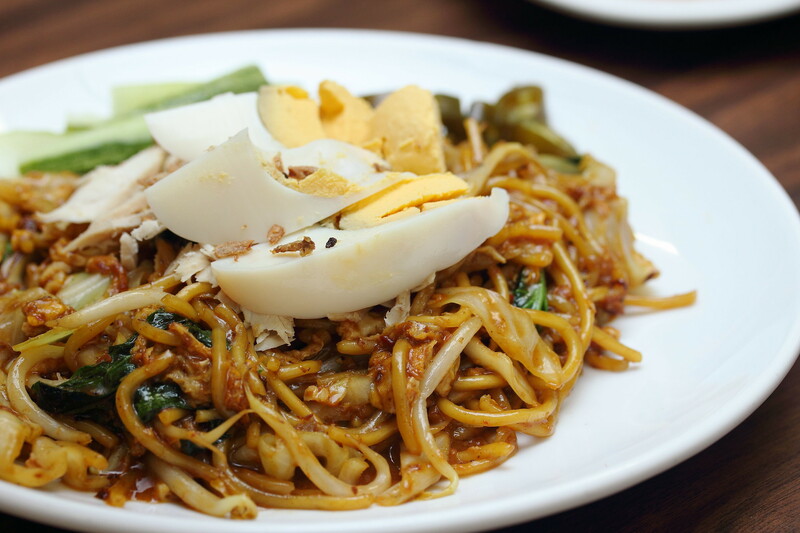 If you want to just have a quick meal and you do not want to over order, I would recommend the Mie Goreng Jawa ($6.90). I like the fact that the stir fried noodles is the wet kind, flavourful and with hints of wok hei aroma. 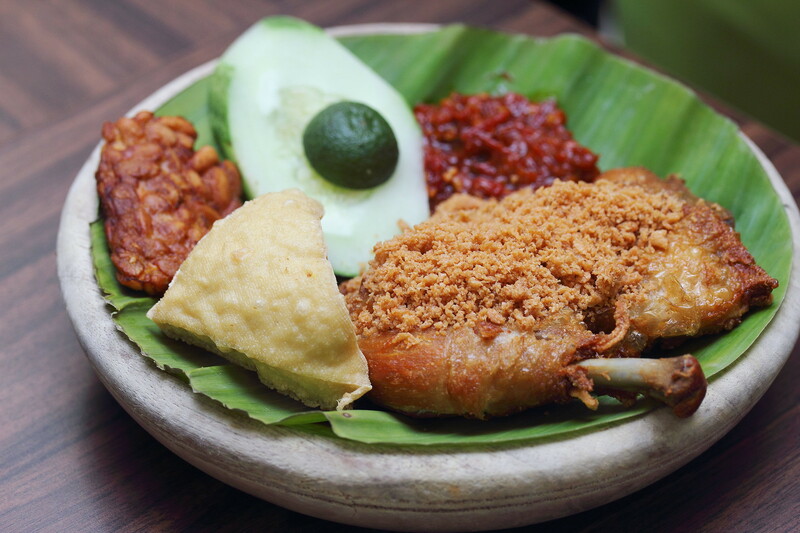 Probably a Singaporean favourite is the Ayam Penyet ($6.90) that is served with freshly made sambal. The ayam penyet is another dish I would order. The chicken is cooked to a nice exterior crisp while retaining the tenderness inside. 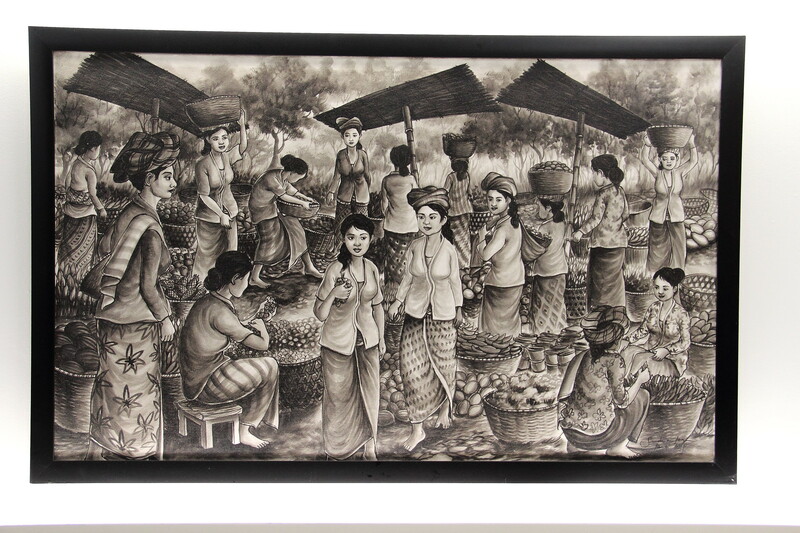 Over at Pondok Jawa Timur, customers have a choice of 3 different types of rice. 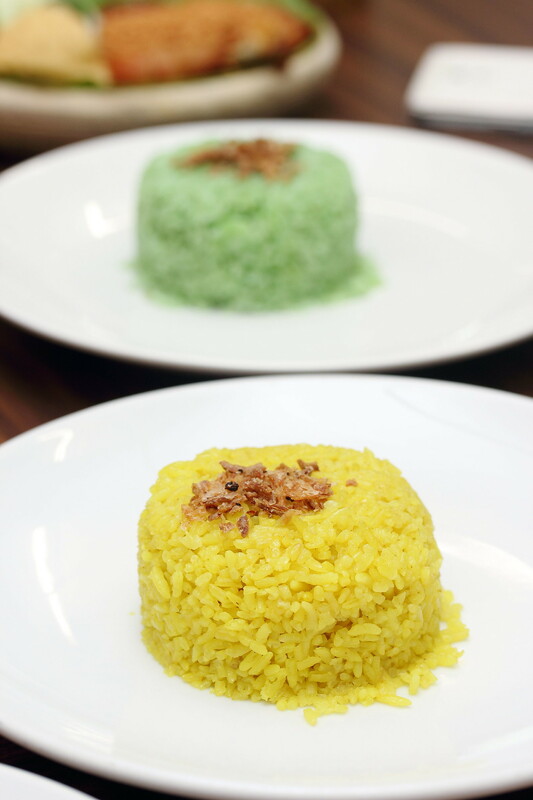 Namely the normal white rice, pandan rice and yellow rice. I did not really enjoy the Fish Head Curry ($32.9) during my previous visit as I thought it was too watery. 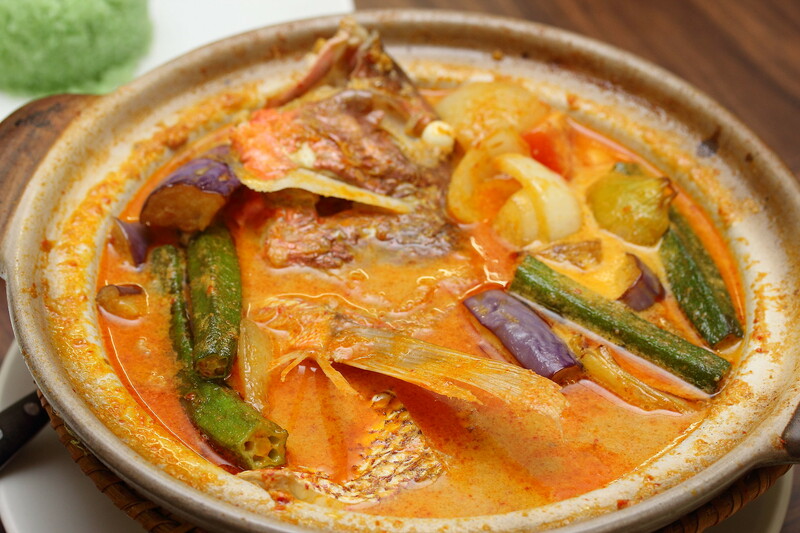 However, the fish head curry was more palatable this time round. According to the owner instead of using coconut milk, they used fresh milk to cook their curry. 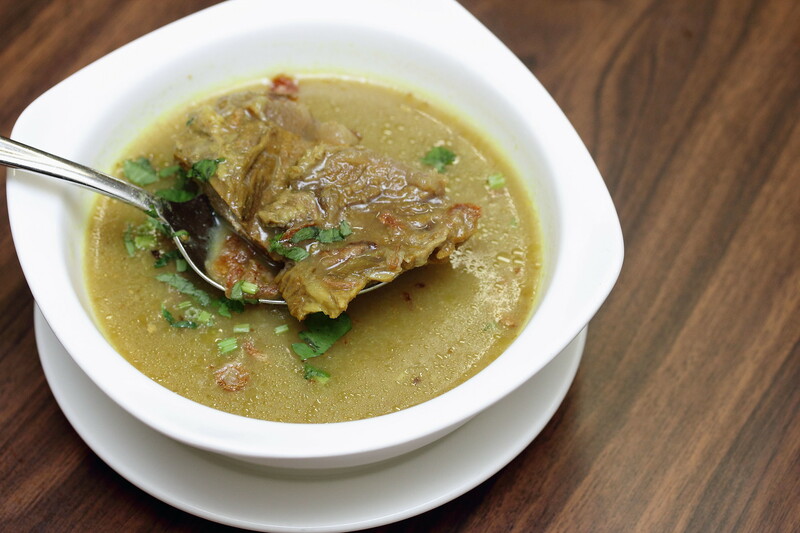 The gravy will go well with a plate of rice or even bread. Wrapping up the dinner, I have the Es Teler ($4.50) which is a sweet dessert of fresh fruits, shaved ice and condensed milk. I was introduced to the dessert during a Jakarta trip and this has become my favourite Indonesia dessert. 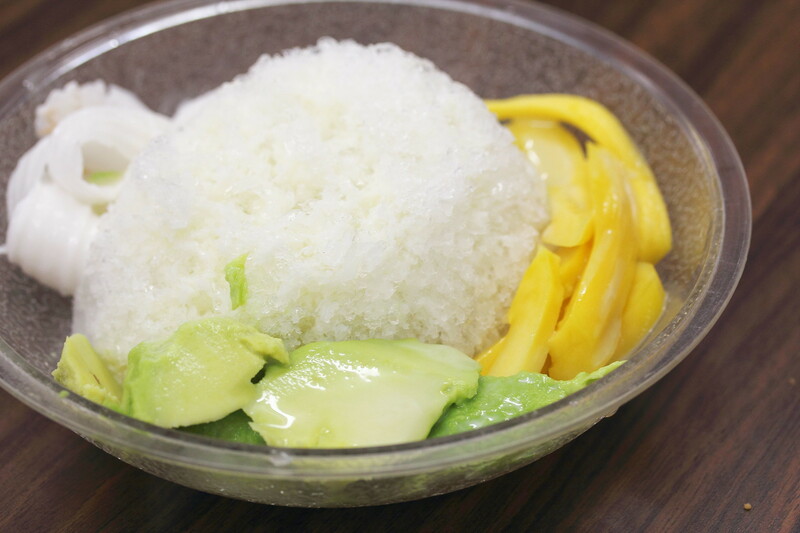 I simply love the taste of condensed milk with the shaved ice. However I think the presentation could be better and the shaved ice can be finer. It was a bit coarse on the palate. After moving from Selegie to the new location at North Bridge Road, Pondok Jawa Timur exactly dropped their prices. I was actually quite surprise but it is a great news to the customers. On top of that, there is no service and GST. With the type of pricing and good food, it is definitely a wallet friendly place for a meal.